Each of our short-term camps are once-in-a-lifetime educational experiences comprised of unique opportunities of experiential learning and many “bucket list” destinations. We take learning and character development very seriously. Therefore, we have specific objectives for each activity and every segment of time within the program. Everything is done with purpose. Participants make new friends, learn life skills, develop character, expand their minds, and have the time of their lives. Short-term camps run during Summer (July-August) and Winter (January-February) and are 7-day, 10-day, or 14-day programs. These programs fill up fast so we recommend booking at least 6 months in advance. We can design an entirely new camp or tailor one of our existing camps. This allows us to customize destinations, duration, time of year, and educational profile until it is the perfect fit for you group. If you do not see a camp you are looking for, let us know and we’ll put it together for you! Watch a short video of the 2019 Summer Land Before Time Camp. Do you love dinosaurs? Have you ever touched one? Have you ever dug one out of the mountain with your own hands? Now is your big chance! 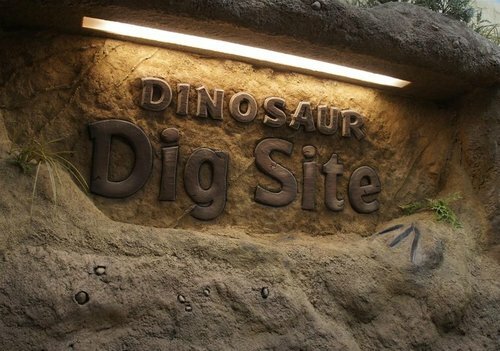 Work side-by-side with paleontologists in a real dinosaur quarry and paleontology lab! Travel back in time millions of years ago as you take a two-day scientific study tour of Yellowstone National Park. And, there’s so much more! Learn more about the natural sciences and make new American friends American Natural Science Camp! Want to be an astronaut? Want to design rockets? How about robotics? This camp progressively becomes more challenging each day with STEM elements throughout. The students' first mission is getting to the Moon. The second mission is getting to Mars. The students work in teams alongside scientists, engineers, and others at the NASA Space Center. They'll even have lectures from astronauts and others doing very cool things in the space world, including a guest speaker from Space X to discuss private space travel. Ever slept overnight next to a space capsule? Not many people have. Now is your chance! How did life begin? Do volcanoes have the answers of the past? Do oceans hold the answers for our future? Come explore the beautiful Big Island of Hawaii and study volcano science and marine biology! Enjoy snorkeling with ocean wildlife, exploring Volcano National Park, and star gazing through crystal clear skies on top of Manau Kea 3,000 meters above sea level! Come to Hollywood! It’s time for fortune and fame! In this completely immersive experience the students dive into the process of every aspect of filmmaking. Over the course of the program, the students create their very own short film from start to finish. The basics of filmmaking are introduced and built upon with each day of instruction. The curriculum is specifically designed by professionals to prepare them to be ready to produce a short film the following week. Present the final film at the Red Carpet Premier on the big screen! Maybe you’ll return home with well deserved award from the film festival awards ceremony!